If you are serious about your pool, then these Standard Aramith pool balls need no introduction. For several decades now Aramith has continued to prove why they still hold onto there legendary reputation. Outstanding endurance and uncompromising quality, just two of the words that go perfectly with the Brand name. These balls are used by almost all professional players worldwide and are recognized as the best balls in the industry. All of Aramith’s ball are made by Saluc in Belgium. The result of a high-tech process that combines the unmatched characteristics of phenolic resin with fine Belgian craftsmanship. Their constantly reliable performance guarantees players the pleasure of razor-sharp precision. And their exceptionally long product life offers owners the lowest annual cost. These are the reason’s why Aramith has, for almost half a century gained its legendary reputation as the signature for true and unrivalled quality. 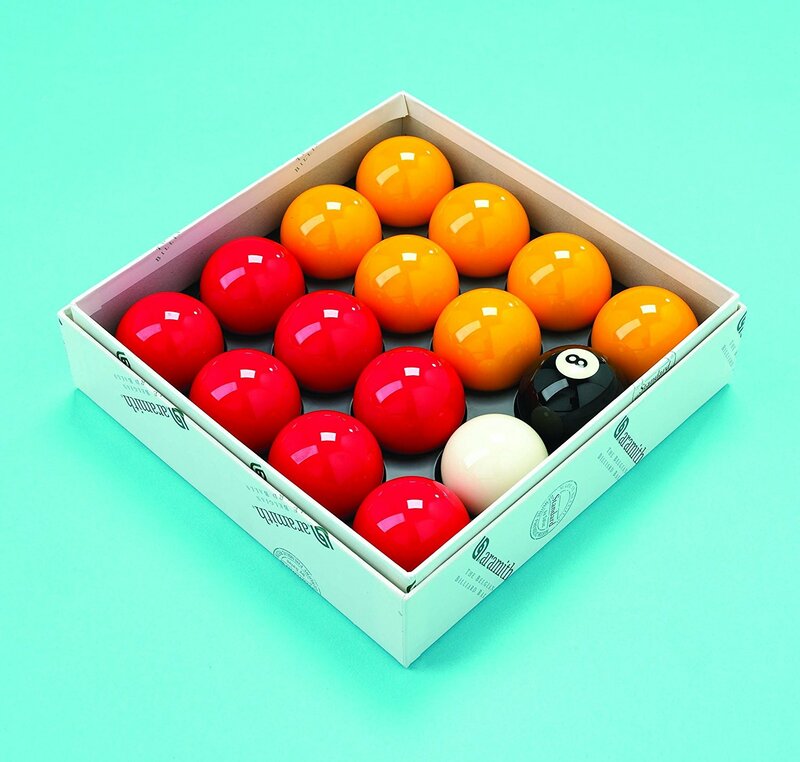 Featuring seven each of the brilliantly coloured red and yellow balls, an 8 ball and cue ball. We are an Official Aramith Agent for the UK buy with confidence.